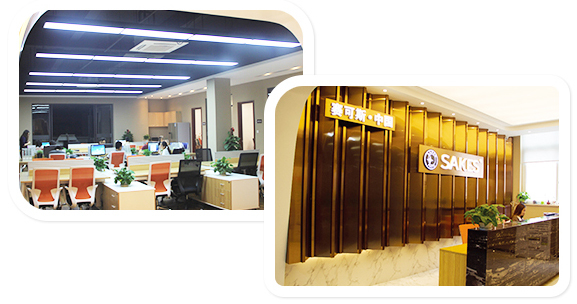 Sakes Auto Parts (Shanghai) Co., Ltd, is set up on April of 2016, with the headquarter addressed in CaoAn road, Shanghai city. 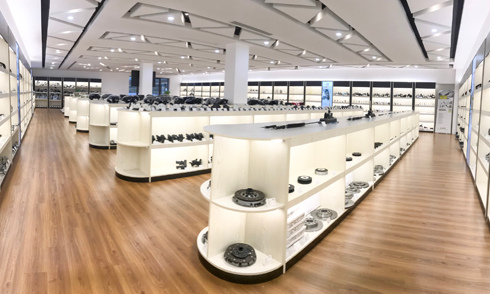 The company is founded by several powerful regional dealer representatives with the aim to satisfy the demand of transformation and upgrading in the automotive aftermarket. We are a close interest community with a strategy layout target through the output of products and services to optimize the supply chain system, improve the service and close to consumers. We divided the market into different administrative areas, inject funds together, we have the same target and direction, as well as unified management. Relying on the independent brand “SAKES”, we set R&D(research and development), production, sales and service in one, and strive to build “Star” brand for auto parts. The core products focus on Volkswagen and Audi, we try to meet the demand of the parts models replacement, at the same time, we gradually expand transverse to high-quality products, “market oriented, innovation as the driving force” is our eternal theme. Today, in auto parts market, numerous brands are competing, we uphold the philosophy of “integrity and service first, quality excellence, innovation lasting”, we adopt the “focus” product strategy, strict process control and efficient operation system, and continuous marketing, to constantly enrich the technology content. We are willing to seek common development and create brilliance, working together with people that have lofty ideals. Through the output of products and services to optimize the supply chain system, improve the service and close to consumers. Plan was the best guarantee of time/ Time was the solid foundation of efficiency. Efficiency is the master of action. /Action is the only way to success. 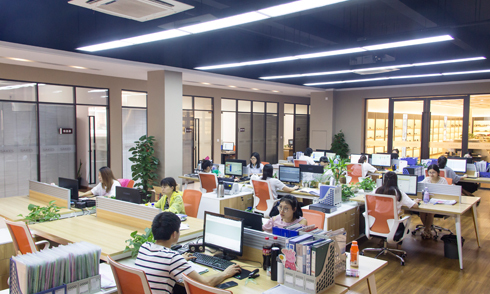 Our office is well-designed with tidy desks and chairs, files placed in order, clean ground, exuberant plants, white wall which create a cozy and comfortable working ambience. The combination of wide-open and half-open office illustrated that we attached importance on interaction between employees and influence on other working environment as well as facilitation of communication among different departments. The exhibition hall of SAKES is the best example of the combination of the most advanced concept and design elements from entirety to part, structure to decoration, well-sorted products are displayed on the table which makes people impressed. The seamless merging of muti-media technology and the products inspire the interest of visitors.